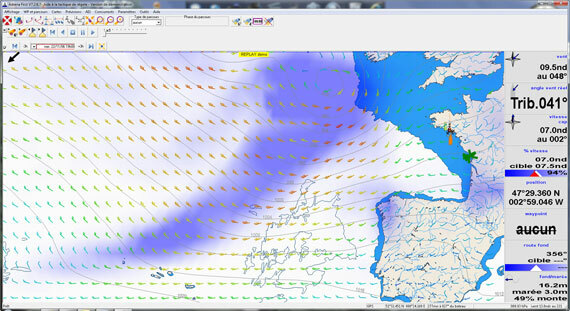 Thanks to ADRENA navigation software, you can visualize wind predictions, atmospheric pressures, rain and current in the Range First and also waves, sea temperature and altitude wind in the Range Standard and Pro. Regarding the weather forecast, you can import data in GRIB format. Regarding the sea and tidal currents, they are available in altlas or in GRIB format.